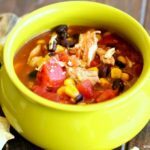 I LOVE this Slow Cooker Chicken Taco Soup Recipe so much that I make this recipe a couple of times a month. 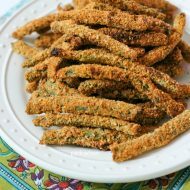 It is so easy, so delicious, and everyone loves it. I will admit that there is ONE problem with this recipe…there are never any leftovers. EVER. It’s that delicious. Don’t believe me? Oh….you are in for a surprise! 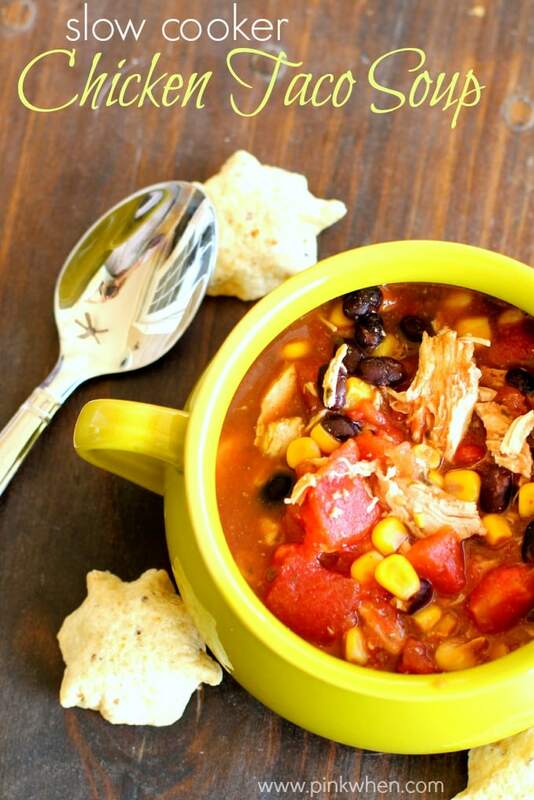 If you have never had chicken taco soup before then I will have to say, you are missing out! 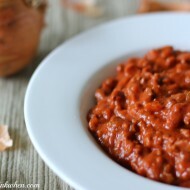 It is full of flavor and is one of those soups that truly hits the spot on a cold day. Honestly, it doesn’t even have to be a cold day for me. I could eat it ALL day. Once you have all of your ingredients added, allow it to cook all day for 8 hours on low. If you are wanting to make this a little faster, turn it on high and cook for 4 hours. When your Chicken Taco Soup is ready to serve, add in some crushed tortilla shells, shredded cheddar cheese, and a little sour cream. OH. MY. YUMMINESS. 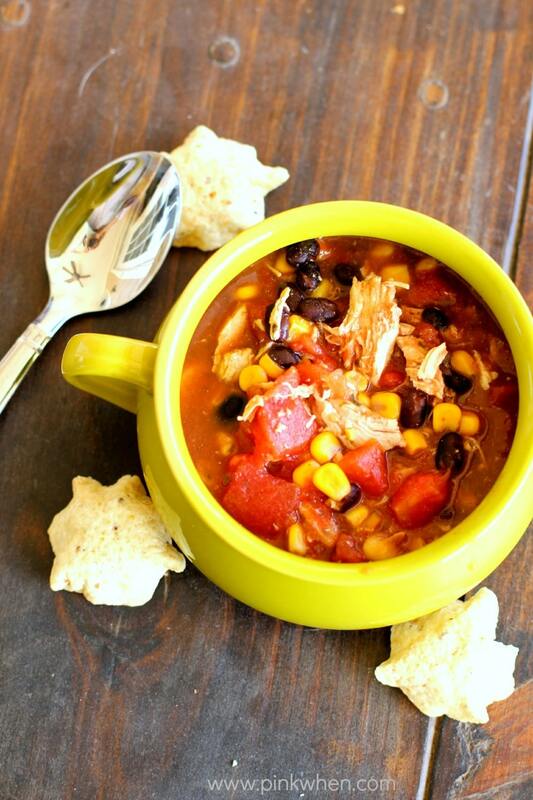 The best way to cook taco soup is ALL day with this easy dump and make slow cooker taco soup recipe. 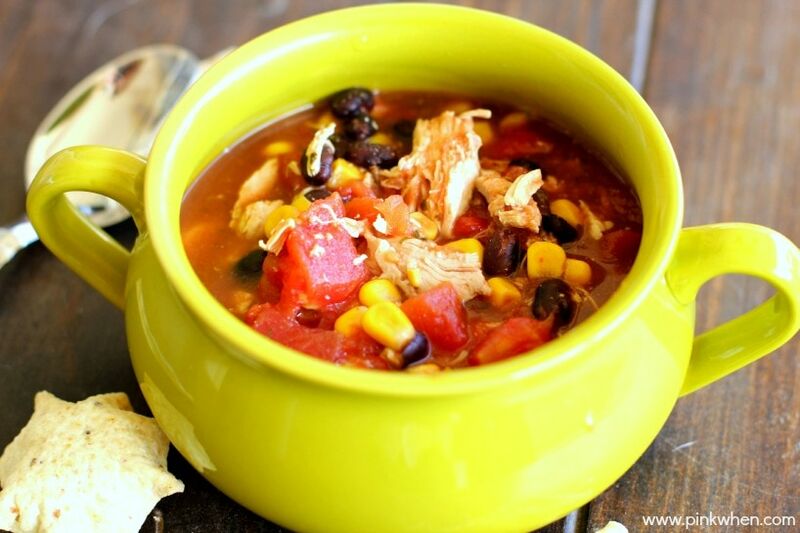 When your Chicken Taco Soup is ready to serve, add in some crushed tortilla shells, shredded cheddar cheese, and a little sour cream. , and then twist tie closed. Place the liner with the ingredients into a freezer bag and then freeze after labeling. When you are ready to make this, remove the liner from the freezer bag, place the liner into your slow cooker, and then place on low and cook for 8-10 hours. Yum! I pinned it this morning. One of my favorite ideas but I’ve never successfully made it. Maybe tomorrow is the day! 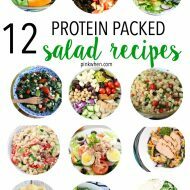 This looks super yummy! I’m assuming that the chicken is cooked beforehand. Is that correct? Then added to slow cook? If I cook this on LOW for 8 hours, I do not cook the chicken beforehand. It cooks all day long. If I am doing this quick and only letting it sit for a few hours in the slow cooker, I will go ahead and boil the chicken for about 15 minutes and then place into the slow cooker. Hope that helps! There are NO seasonings. It’s delicious just like it is! I think the green chilis in the Rotel are what helps the flavor marinate when is cooking during the day.